To build our niche as the transportation resource for our customers by providing innovative and flexible solutions. M & M Carriers is at its core a Freight Carrier. We provide a seamless LTL, FTL and Guaranteed Expedite service to customers in all the major North American and Mexican markets. 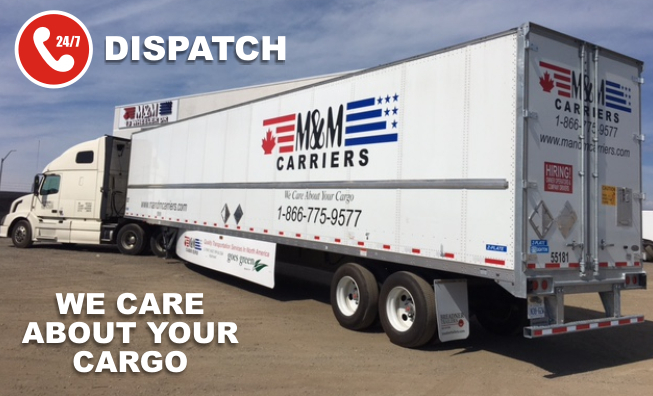 M&M Carriers is Toronto based, with 24 Hour dispatch available. 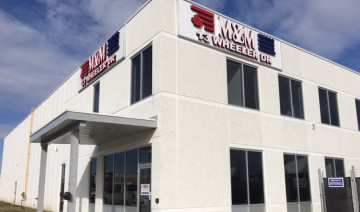 Founded in 2002, their corporate offices are located in Bolton, Ontario in Canada. All of our drivers are licensed trained truck drivers and handles each job professionally. From Canada to USA to Mexico and back: We offer fast, reliable and accurate delivery directly to your doors, factory and warehouses. We offer 24/7 dispatch and team service. With over 12 years of experience, our team is customer-focused with constant load tracking to keep you informed. Our trained service technicians are courteous, professional, and bonded drivers. Safety of your cargo is one of our top priorities. Every shipment is handled with the most care by our trained and high skilled personnel. You can be sure that your cargo will travel and arrive safely. Our expedite services get your shipment where it's going in the fastest time possible. We deliver your time-sensitive shipment safely, efficiently and on schedule. We make your shipment our priority. We have the equipment to meet all your transportation requirements including tractors for both city and highway transportation, cargo vans etc. Your specialized freight is no problem. Need custom logistic service? We got it covered. We offer a complete integrated solution with fast, safe and accurate shipment provided all over North America. As a contractor, we promise to take care of all supply chain management, to make your shipments travel safe, fast and on time. M & M Carriers is Hazmat approved, Canadian Bonded, US Bonded Carrier. Our certifications also include CTPAT approved, F.A.S.T approved, Minority, C.S.A Approved, PIP Approved, and Smartway Partners. M&M CARRIERS © All RIGHTS RESERVED.